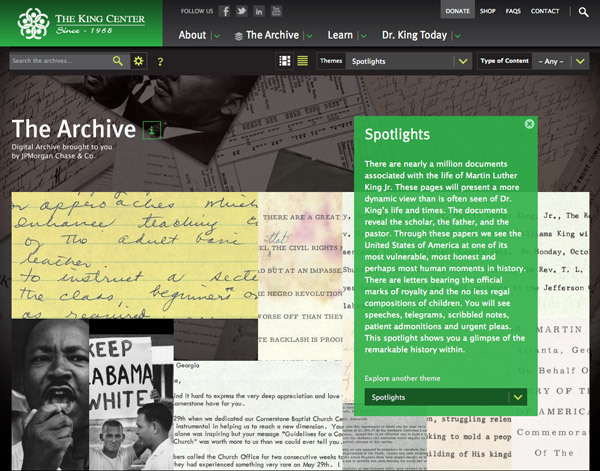 The folks at C&G Partners, a New York City design firm, have just launched a new website for The King Center Imaging Project, an initiative of JP Morgan Chase with The King Center in Atlanta. 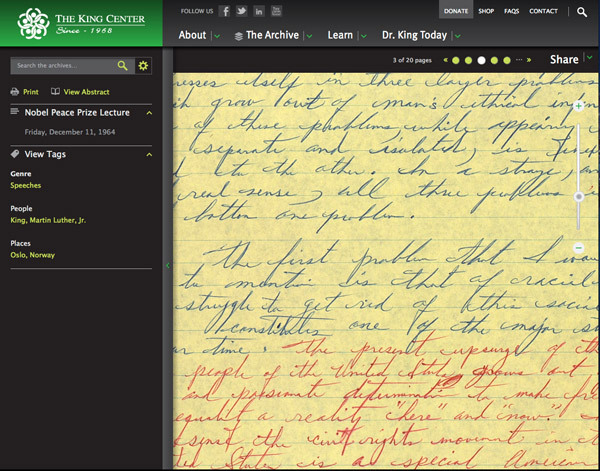 On this Martin Luther King, Jr. Day, 200,000 documents including letters, speeches, drafts, notes, photos and more, are now available for free to the general public. The site builds on the graphic identity established for the project’s related traveling exhibition. There is an overwhelming amount of information which has been impressively organized in a welcoming and user-friendly way. Definitely worth exploring. This entry was posted in Event, Graphic Design, Interaction Design. Bookmark the permalink.